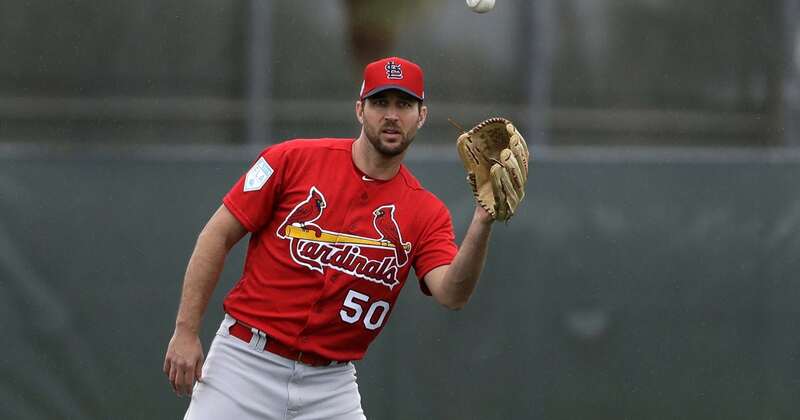 JUPITER, Fla. — Adam Wainwright stood in front of his customary corner locker following the St. Louis Cardinals’ first workout and said he was healthy. All-Star catcher Yadier Molina loosened his arm and monitored throwing sessions but never put on his shinguards. Molina is recovering from left knee surgery in December and isn’t expected to catch bullpen sessions before the start of exhibition games.